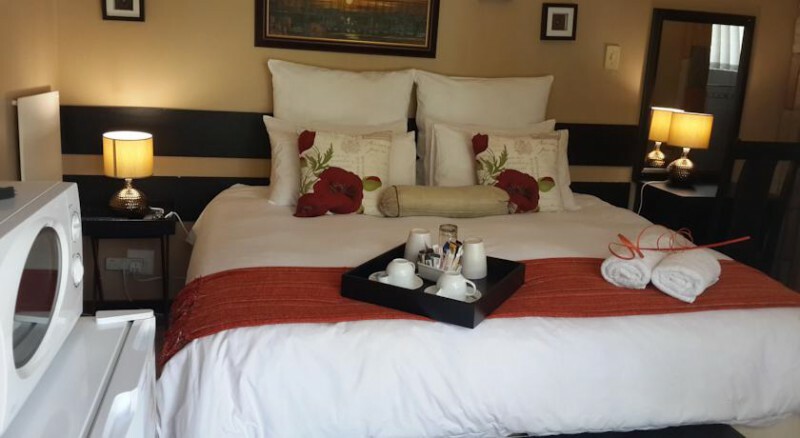 You’re Host’s Grant & Rita Urquhart invites you to come & Enjoy Luxury, comfort and home from home warm Hospitality. 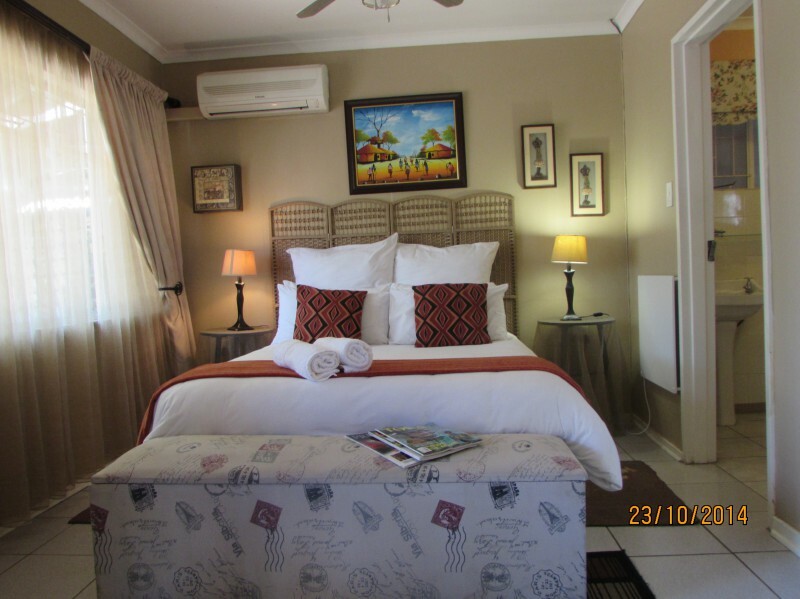 At Matts Rest B&B, situated in a up market serene part of Hayfields & Out of the hustle and bustle of the city, yet only 5 Minutes from most amenities. 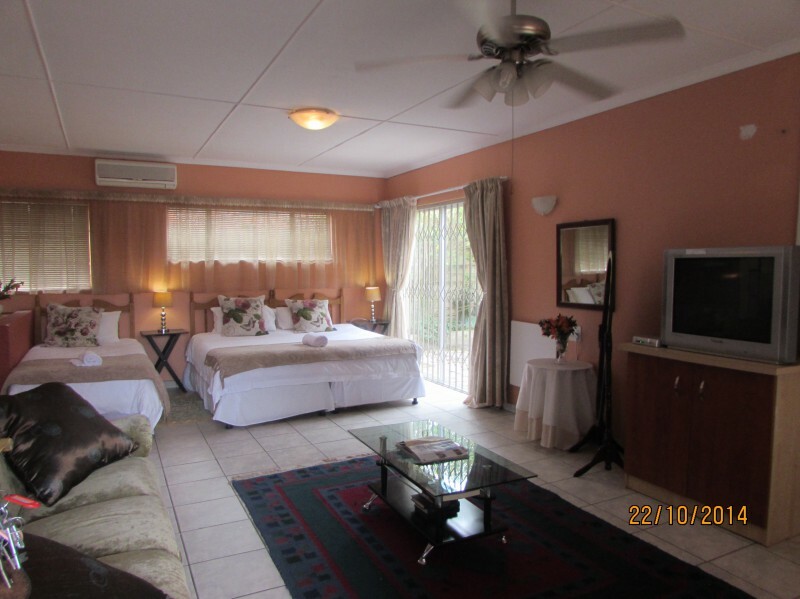 Ideally situated for all events in PMB and which is convenient to the freeway. 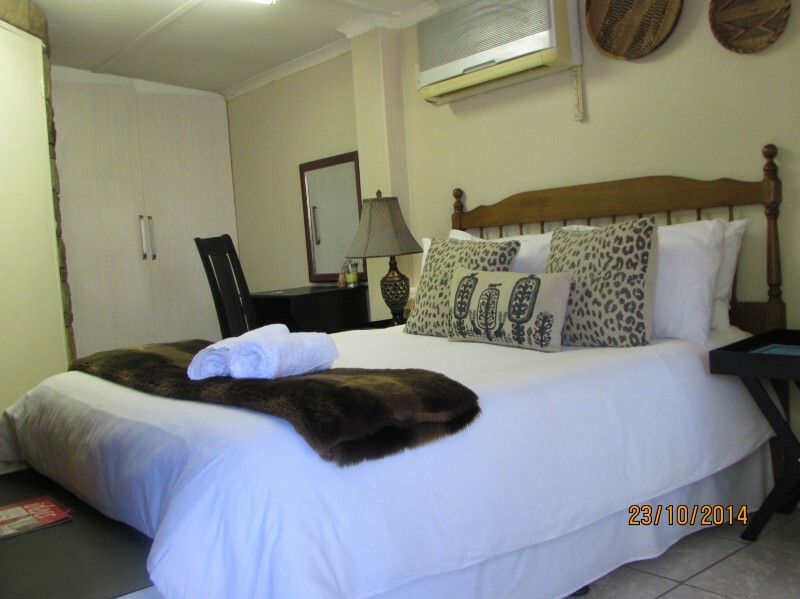 Matts Rest offers you 5 tastefully decorated semi self catering B&B rooms which are equipped with a bar Fridge, Microwave, Tea/coffee facilities and 1 X 4 or 5 sleeper Fully Self catering Cottage and 1 X 3 or 4 sleeper fully self catering Studio Apartment for you convenience. 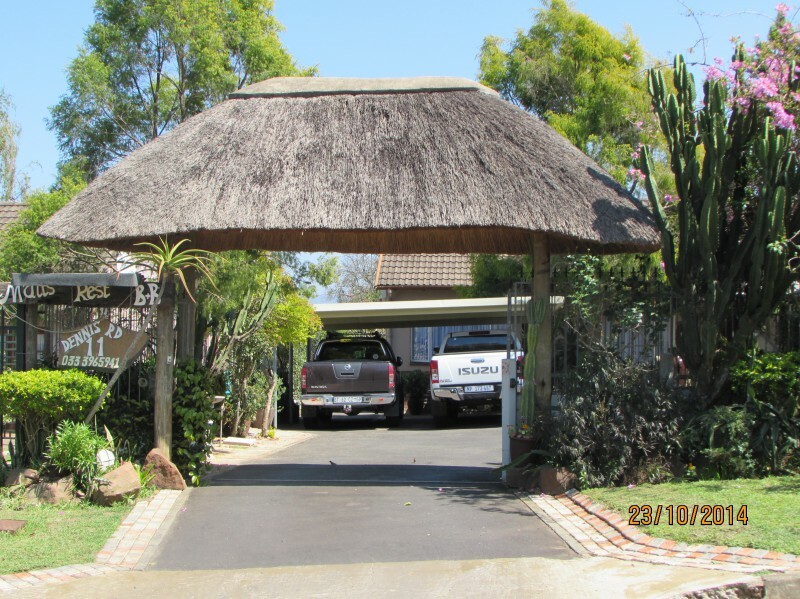 All our units have their s own private entrances. 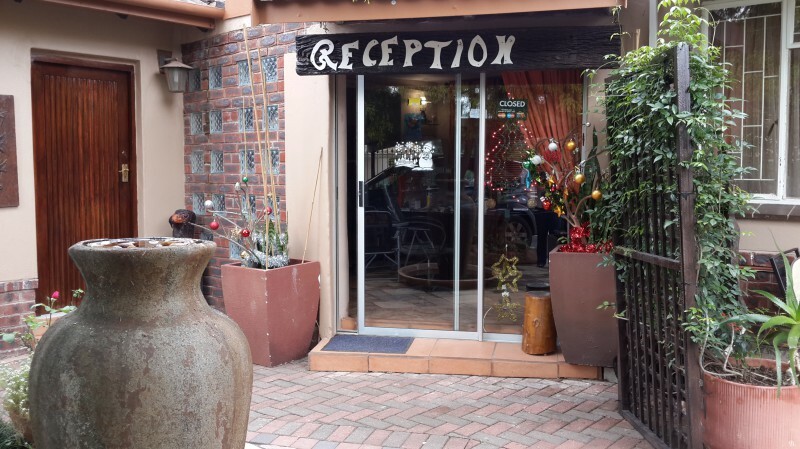 We offer secure off road parking and a cosy internet cafe with email & fax faculty’s, Laundry services, Cleaning Services (except Sundays) .Free Uncapped WIFI throughout the property. 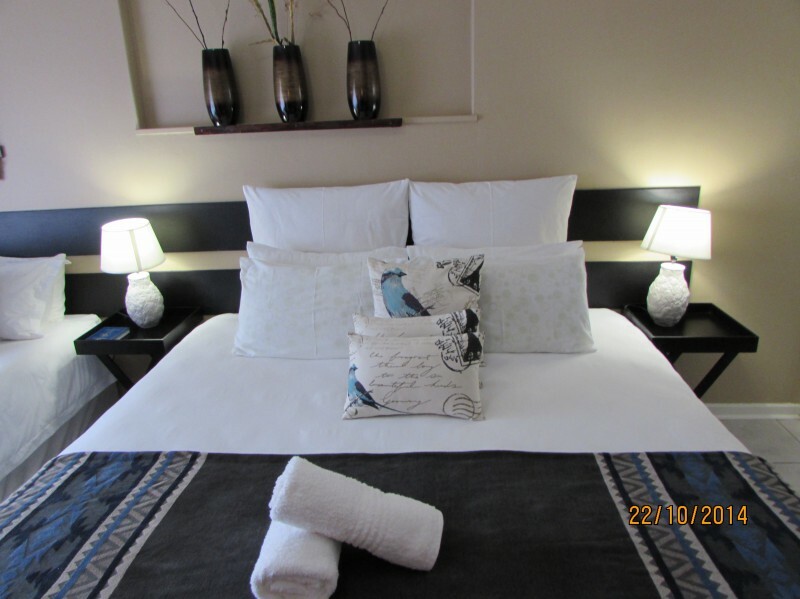 Ideal for business travellers looking for a quiet place to retreat after a busy day or simply Pleasure visits to our City. 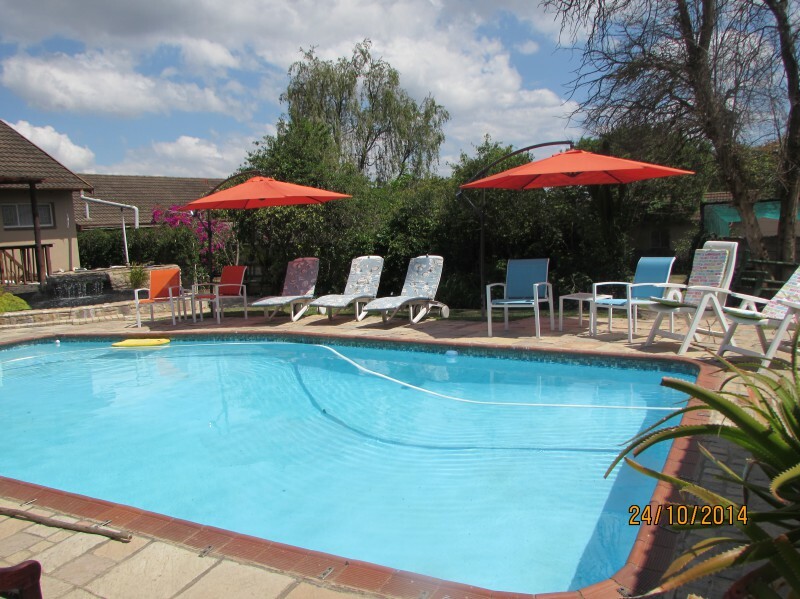 Put your feet up, feel at home or relax at our Large Pool or Braai Area. Matts Rest kitchen is famous for its scrumptious Breakfast which is served from as early as 06.30 to 09.00 am and our Delectable Dinners from 06.pm-08.00 pm.Meals can be chosen from our set Menu served in the comfort of our Dining room or out on the patio overlooking the Pool or served in your room for you convenience . Our establishment is CHILD FRIENDLY but unfortunately NOT PET FRIENDLY!! 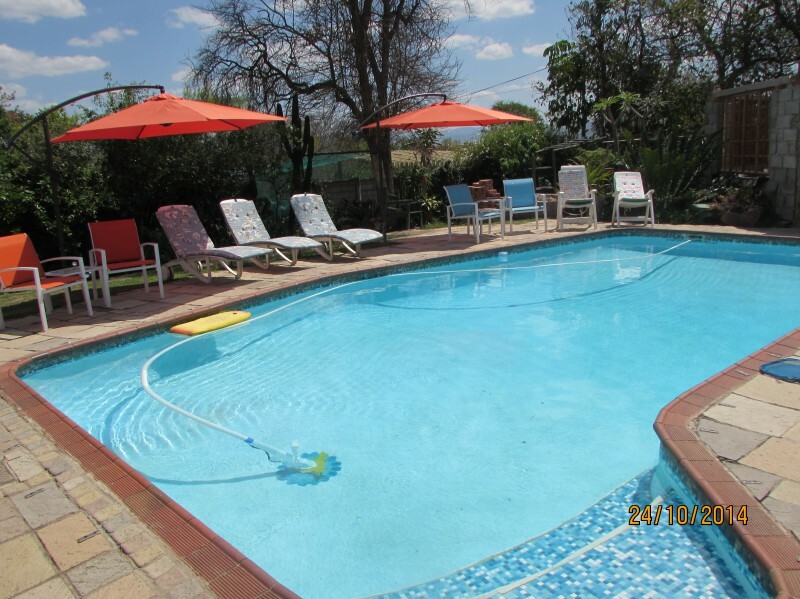 Matt’s Rest B&B is set in a tropical garden with a swimming pool in Hayfields, Pietermaritzburg. 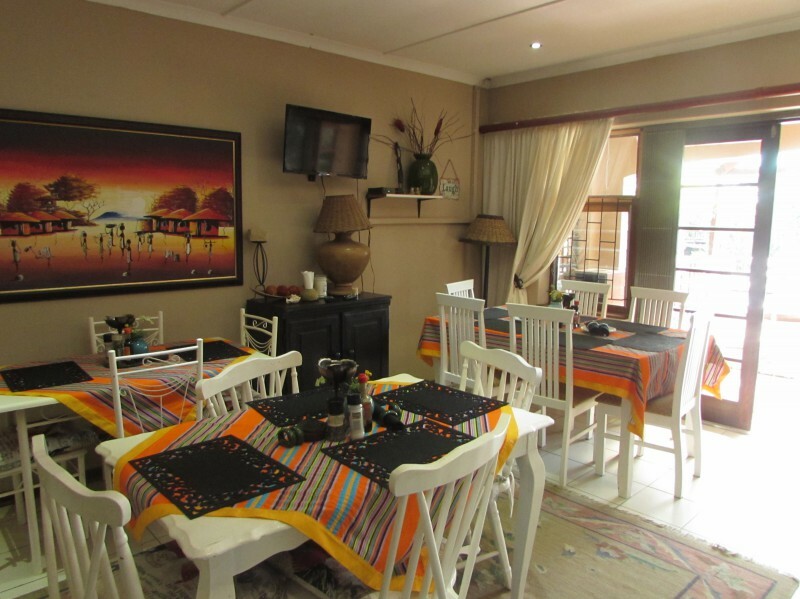 It offers a bottomless coffee bar and free Wi-Fi throughout. 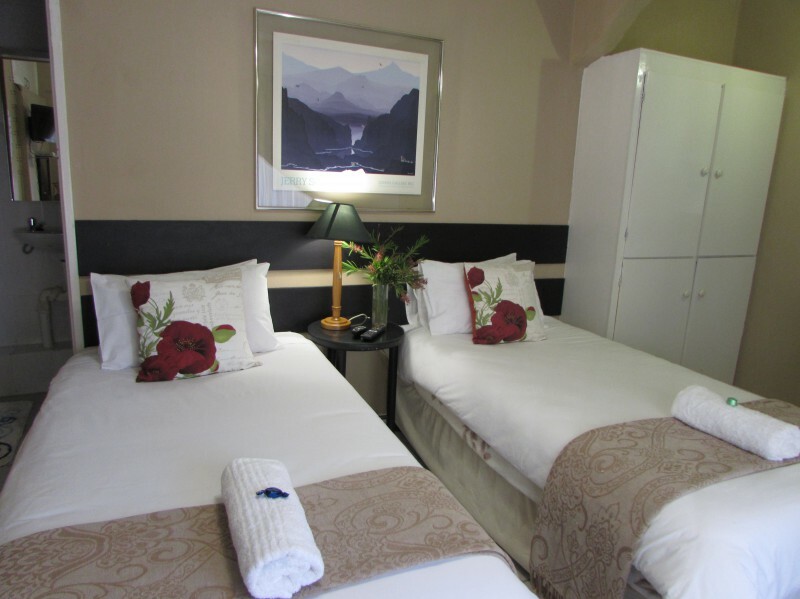 With en-suite bathrooms and a private entrance, all rooms have a microwave and satellite TV. 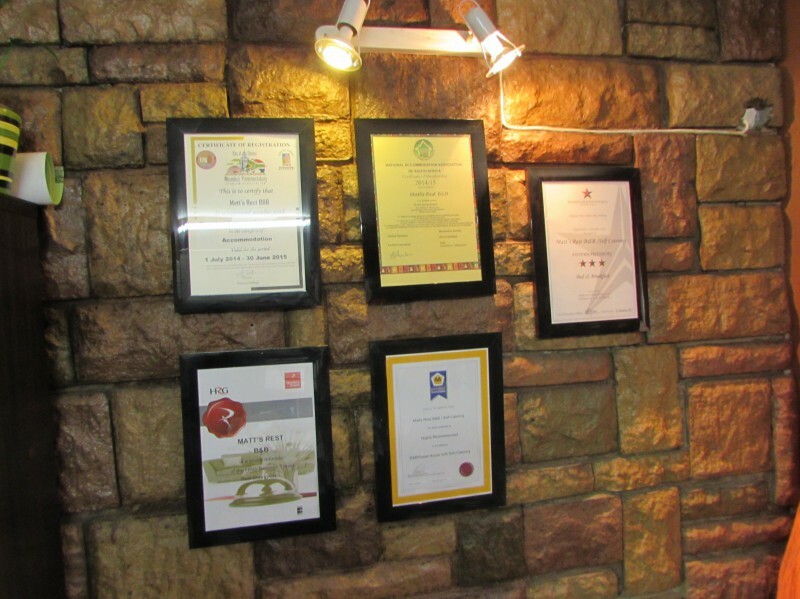 Some have a fully equipped kitchen. The Natal Museum is 10km from Matt’s Rest. 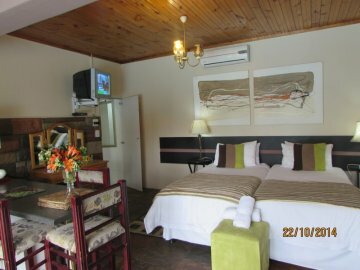 Midmar Dam is a 25 minute drive away.